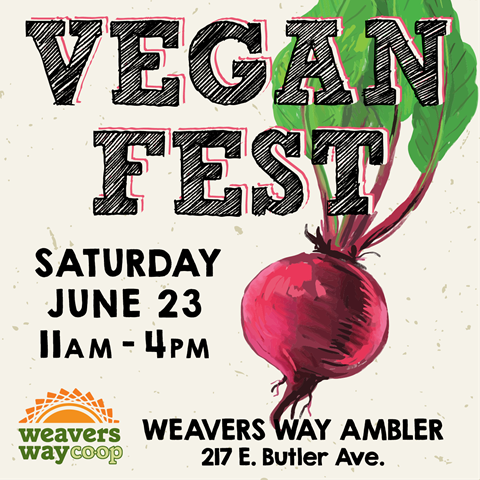 Curious omnivores, adventurous flexitarians, old heads and new sprouts alike will enjoy the sights, sounds and, of course, tastes of Weavers Way Vegan Fest 2018! Check out the marketplace, chat with the vendors and take a vegan store tour. Chow down from the all-vegan hot bar, enjoy live music, take in a demo and meet special guest V-for-Veg blogger Vance Lemkuhl. Plus adoptable kitties from Brenda's Cat Rescue. (No, they're NOT vegans.) FREE. Click here for more info. 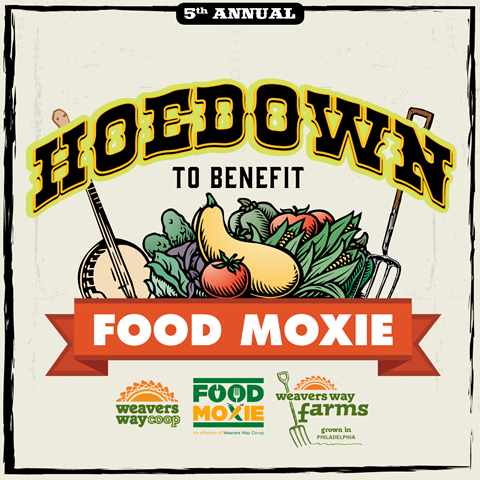 Join Food Moxie for a fun-filled afternoon at Weavers Way's farm fields at beautiful Awbury Arboretum. Explore and learn about this 2-acre urban farm nestled in the 55 acres of green space in Germantown. Tickets are $15 ($20 at the door), and kids 10 and under are free. 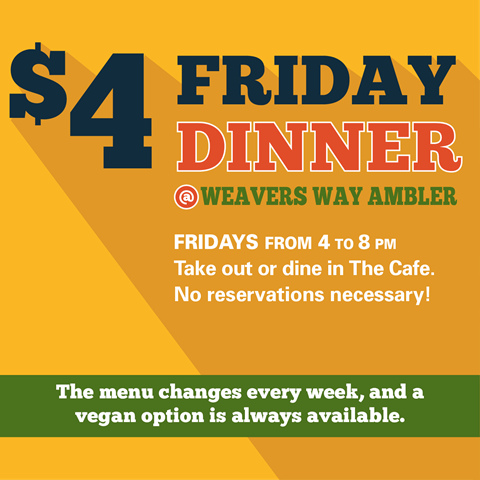 Proceeds benefit the nutrition education programs of Weavers Way's affiliated nonprofit organization. Click here for tickets and more info. Attention, cooperators! We still need volunteers to help out at the Hoedown. To sign up, visit the Online Work Calendar (login required) or contact Membership at member@weaversway.coop or 215-843-2350, ext. 119. You provide the adult beverages, Art Miron will provide the live music. Come meet your farmers! Members of the Weavers Way Farm Team will be in the Mt. Airy and Ambler stores to answer any questions you might have about our farms. They'll also be featuring spring greens fresh from the fields for sale. 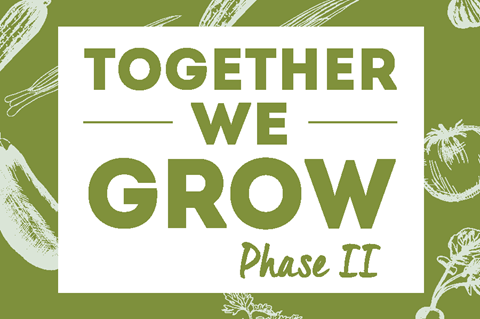 Meet Your Farmer sessions are also scheduled for Sunday, July 29, 11 a.m.-3 p.m., in Chestnut Hill and Ambler. Want to Invest in the Co-op? Learn more about Weavers Way's latest Member Loan Program. Visit www.weaversway.coop/member-loans, or join us Tuesday, June 19, 6:30-7:30 p.m., at the Chestnut Hill store for an info session and — of course — some refreshments. RSVP: memberloan@weaversway.coop. Thursday, June 21, 6:30-8 p.m., and Saturday, June 30, 1-2:30 p.m., Ambler Senior Center, 45 Forest Ave.
We encourage all members to attend a New Member Orientation after joining. We'll explore our Online Member Center, discuss the benefits that come with membership and help you choose if working membership is right for you. You'll earn two hours of work credit just for attending to boot. What a great way to jump-start your working membership! Sign up on the Online Work Calendar (login required) or contact the Membership Department directly: member@weaversway.coop or 215-843-2350, ext. 119. The Co-op's Sustainability Club gathers on the first and third Thursdays of every month to share information and experiences in sustainable living. Why are we buying seltzer in plastic bottles? Can we live without paper towels? How can we cook in ways that save gas? Is this car trip really necessary? What’s better, local conventional food or non-local organic? RSVP to judymorgan711@yahoo.com. Love our farms? Join the Weavers Way Farms Committee! You'll earn Working Member hours while you help plan, promote and populate Volunteer Days and other farm-centric events. Special skills or experience welcome, but not required! Click here for more info and to RSVP. Whatta deal! Weavers Way members can to get one Academy of Natural Sciences general admission ticket at $5 off or four tickets for only $48. (That's a hefty discount over the regular online adult weekend ticket price of $19.95!) The Academy, Philadelphia’s natural history museum on Logan Square, features towering dinosaurs, live tropical butterflies and other interactive exhibits from around the globe. Go to ansp.org for more info and use the promo code WEAVERSWAY. Gather your blades for our regular fourth-Saturday appearance by master honer Jesse Howe of HoweSharp. He'll sharpen while you shop. Sample prices: $7 for a 5-9 inch kitchen knife, $6 for scissors with blades up to 6 inches. The Food Trust, in partnership with Germantown United CDC, inaugurates a new farmers market in Germantown — and Weavers Way will be there with sustainable bulk and packaged goods. The market also features fruits and veggies from Zookie’s Produce, as well as food truck fare and prepared foods, including Ashbell’s Smokehouse Deli, cooking demos, tabling, music, arts and entertainment. Read all about it here. 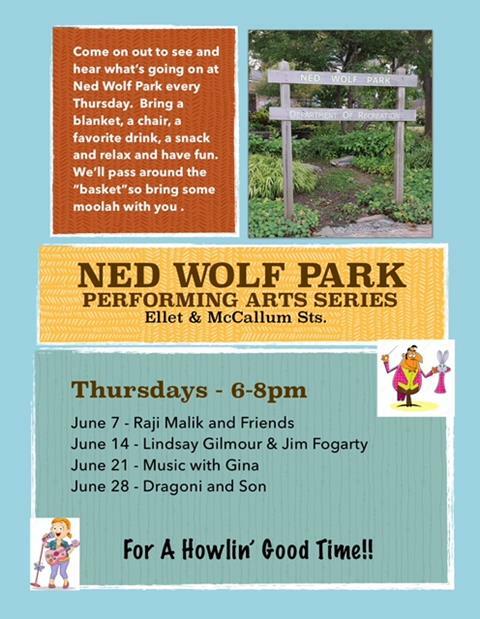 Take in the weekly Performing Arts Series at Ned Wolf Park around the corner from Weavers Way Mt. Airy. Bring a chair, a beverage and a picnic from the Co-op or our Thursday Greene & Carpenter food trucks Mucho Bueno and Chilly Banana. This week: Lindsay Gilmour & Jim Fogarty. Coming up: Music with Gina (June 21) and Dragoni & Son (June 28). The Philadelphia City Planning Commission will reveal its Upper Northwest District Plan to the public in Lovett Park with two sessions (the first will include a raffle prize drawing) featuring Mt. Airy’s own Ramble Pizza food truck and beer samplings from Germantown’s Attic Brewing Company, followed by music by Danie Jackson from the Working While Playing collective. Mt Airy Art Garage partners with the Mayor’s Office of LGBT Affairs and Philadelphia Family Pride to host a FREE celebration of Pride Month and all the wonderful LGBTQ families in the neighborhood and across the city. 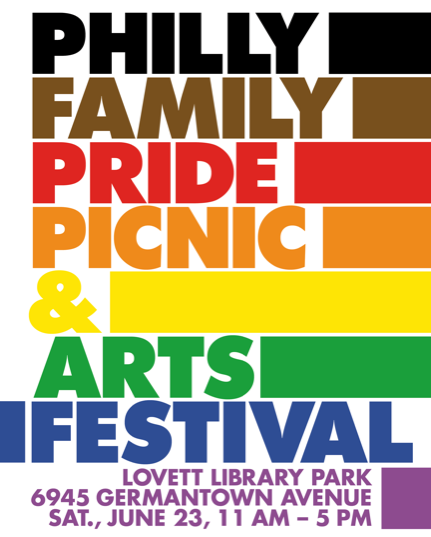 The Philly Family Pride Picnic & Arts Festival features family-friendly entertainment, art and handcrafts, music, food and a variety of resource tables from organizations and nonprofits that provide services and support to LGBTQ parents and youth. Bring your questions, talk to your peers, support local artists, and just come on out for an incredible day. Expect Mayor Kenney and a host of well-known personalities to join us in the festivities. Our body’s relationship with its microorganisms can profoundly influence our health. In this workshop, Weavers Way member, lecturer and recipe developer and 28-Day Challenge leader Seth Pollins will discuss the microbiome as well as tips for optimizing it. FREE. Click here for more info and to RSVP. Step right up with your questions and concerns about healthy eating, Weavers Way products or anything related to nutrition and food. The Weavers Way Neighborhood Nutrition Team is a group of six nutritionists, dietitians and other wellness practitioners. They aim to bring nutrition inspiration and information to Co-op members, providing resources that empower members to make desired changes in their nutrition. FREE, no RSVP needed. It's nearly summer, but winter still has some of us feeling depleted. Join Weavers Way Nutrition Team members Dorothy Bauer and Beth Chiodo to learn about traditional remedies that can revitalize us and restore our energy. The workshop will include DIY demonstrations and herbal tastings. FREE. Click here for more info and to RSVP. 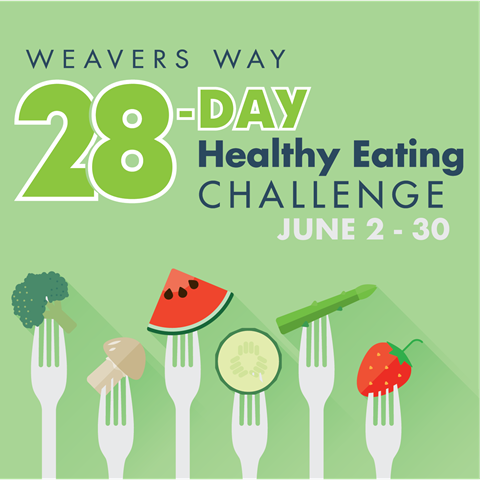 In this workshop, part of the Weavers Way 28-Day Healthy Eating Challenge, we'll discuss fasting and cleansing as well as a common-sense approach that can easily be adopted by most adults. FREE and open to all! Click here for more info and to RSVP. Celebrate the solstice by taking time with this workshop led by yoga teacher Esther Wyss-Flamm and reiki practitioner Pamela Hipp, both Weavers Way Health & Wellness Committee members. It's an opportunity to rest, pause and take stock with a dive into supportive wellness practices. FREE. Click here for more info and to RSVP. Space is limited (20-25 people max). Learn the secrets of piping, filling and embellishing from baking expert Ellen Gray. Participants will receive cookies to decorate and take home. Decorating tools provided; bring an apron, a kitchen towel and your questions. $30. Click here for more info and to register. Don’t miss the bi-weekly eShopper for specials, demos & more! Visit the online events calendar at www.weaversway.coop/events.